← Giant Gundam is Giant! We found this at the cafe at the Meiji Jingu. 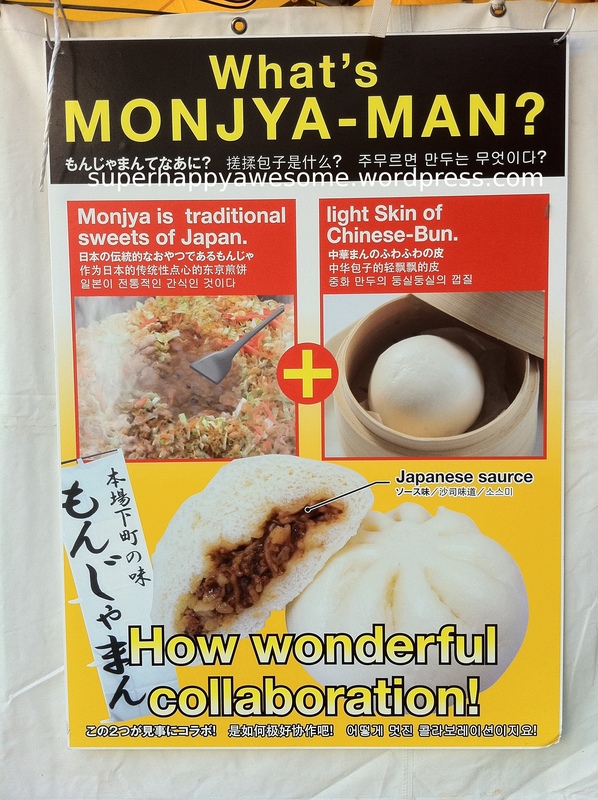 As far as I know, monjyaman is actually savory (note the cabbage and carrots visible in the picture on the left) so I imagine there are lots of disappointed tourists who think they’ve purchased a traditional sweet of Japan, only to discover a not so wonderful collaboration. But I’m sure the Japanese saurce is delicious! This entry was posted in Engrish and tagged engrish, food, Japan, Japanese. Bookmark the permalink. 1 Response to Happy Engrish Friday! *giggle* Too funny! Looks tasty though!